Karma Police gets laid back on this excellent cover. Nice. Do you like Radiohead? Do you like reggae? Then you’re going to LOVE this. In the cold, cold winter months, look forward to the summer by slapping this excellent cover of the Radiohead classic Karma Police. 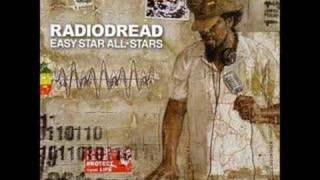 Back in 2006, the Easy Star All-Stars released a track-by-track cover of the album OK Computer called (inevitably) Radiodread. And this is a highlight, featuring Citizen Cope on the vocals.